Welcome to the "LUX 74". 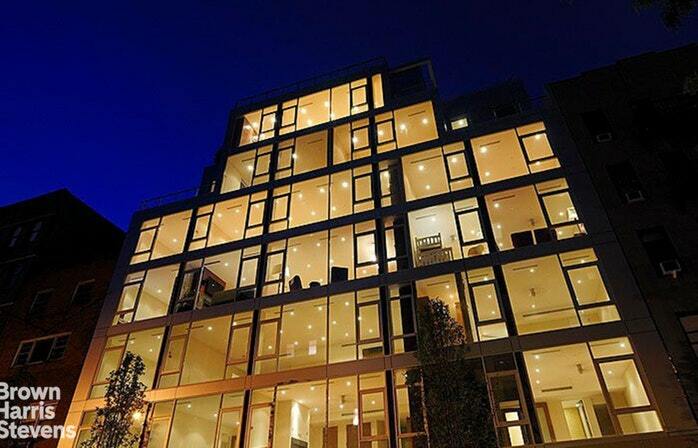 This all glass boutique "lifestyle" condominium building faces south- saturated with natural light. 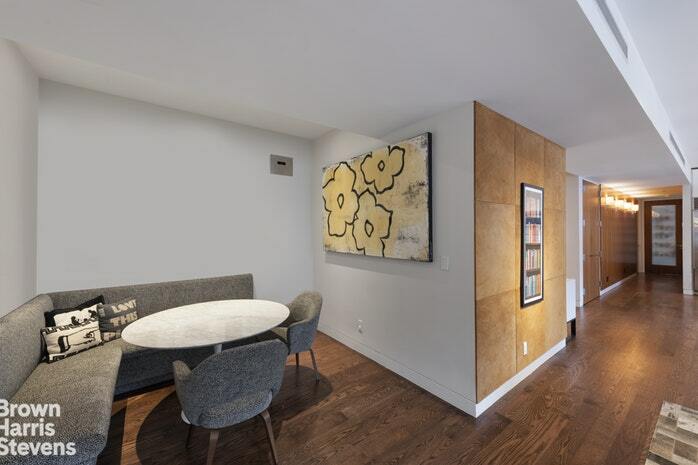 Located on East 74th Street between First Avenue & York Avenue on a tranquil tree-lined block. 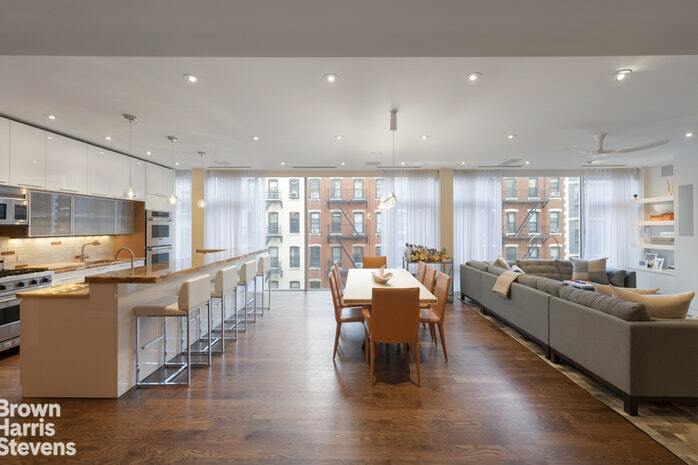 This full-service, white glove post war building was built in 2007 and designed by ADG Architects & Design PC. 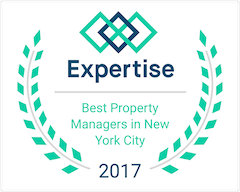 It's the only building of its kind on the Upper East Side and remains a "unicorn" in Manhattan. 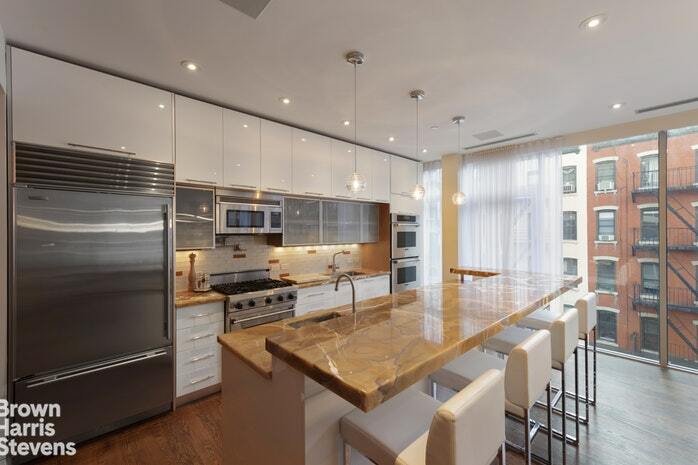 Consider this extraordinary property Downtown living but Uptown! 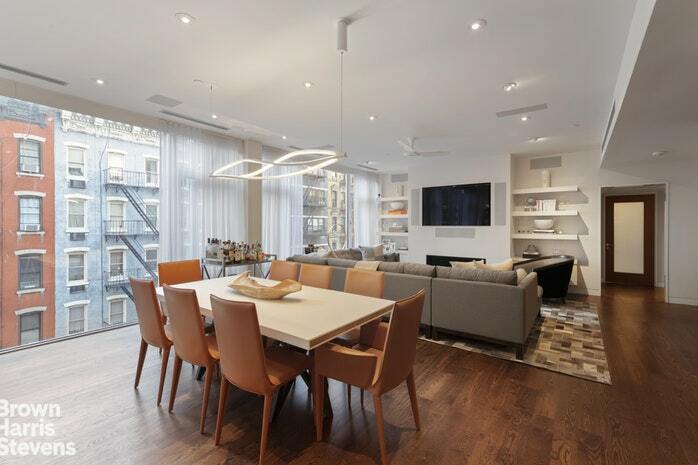 The "Lux 74" is a remarkable property featuring first class amenities, cutting edge design, privacy and intimacy. 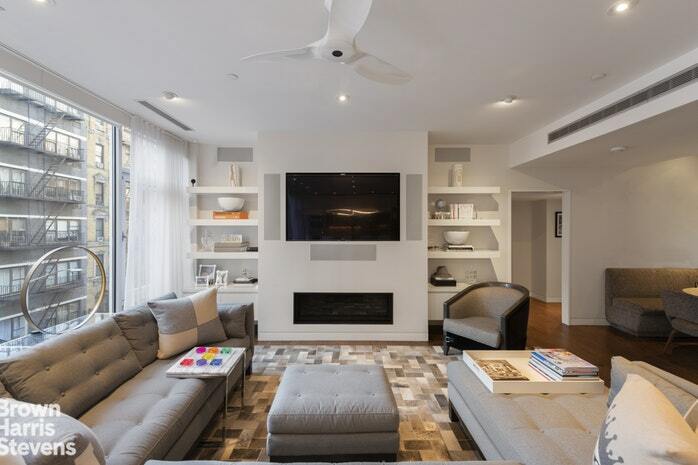 Some features include additional storage in the basement, gym, landscaped furnished roof-deck, an outdoor kitchen with BBQ grill, full-time concierge, and doorman. 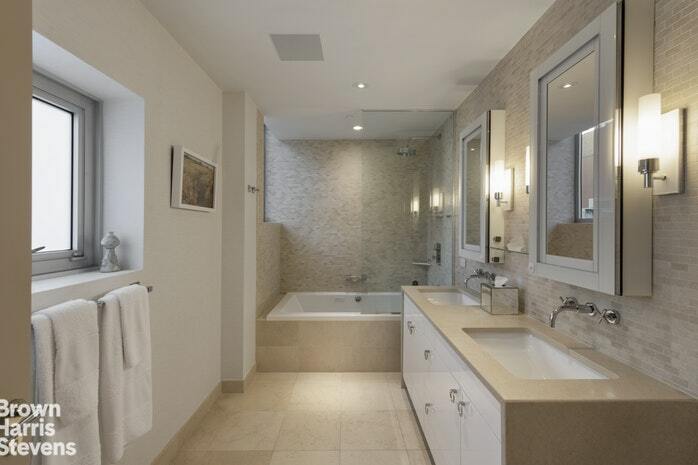 Indulge in this 3,212 sq ft full-floor 5-bedroom, 5.5-bathroom residence located on the fourth floor. 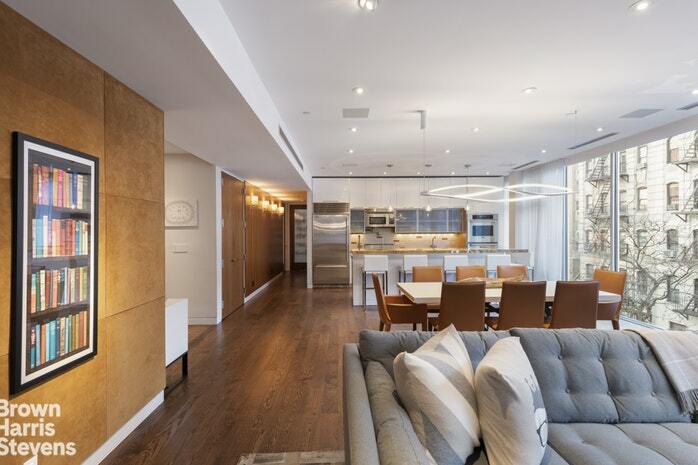 With a thoughtful modern layout, polished finishes, and massive ceiling heights spanning throughout the subject property at approximately 9 feet 2 inches. Upon entering the front door, from a large entryway foyer with custom cabinetry and an immense amount of storage space, you're surrounded by a trio of closets! The home flows into a cavernous, open-concept living room with remote operated gasfireplace, dining room, and kitchen. You're greeted by custom finished hardwood floors and a wall of floor-to-ceiling windows along the entire southern wall boasting vast sun-light and view with colorful and charming buildings. Rooms were designed by Penny Drue Baird, named to the Architectural Digest's List of the Top 100 Architects and Designers world-wide for the past 20 years, and is an internationally renowned interior designer, celebrated for her top tier interior design and architectural detailing. This spectacular home has significant upgrades and features worth mentioning. The Apple Homekit enabled Lutron QS system with Lutron Connect allows you to automate and customize lighting and shades throughout while Homekit enabled Ecobee thermostats control temperature and humidity customized humidifiers for the drier colder months. All windows are appointed with solar shades and or black out shades and the home features all LED custom lighting. As you gaze at the ceiling you'll find yourself observing high fidelity speakers in every room powered by custom amplification and controlled by SONOS. The Living room alone features a Dolby Atmos 9.1 Theater Surround system offering pristine 3D sound and a Sony 65" 4k Tv for visual effects built into custom Cabinetry. The home comes with a custom installed Ruckus Wi-Fi system, is prewired and centrally racked in the A/V closet. If you enjoy entertaining the kitchen is the heart of this phenomenal home. The kitchen is equipped with an eat-in island with marvelous onyx counter-tops and a mosaic backsplash; two "deep sinks" and one disposal; a four burner "Viking" stove; two "Miele" dishwashers; two "Thermador" ovens; a "Viking" microwave; a "Sub Zero" refrigerator; and plenty of storage throughout. Not to mention you have a fully customized double layer pantry suitable for all your needs! The master suite occupies the entire northern wing of the home. 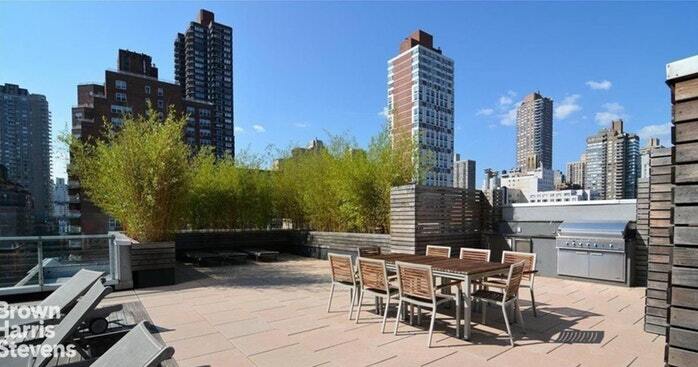 It has access to the property's private 20 foot balcony and boasts an astonishing four closets. 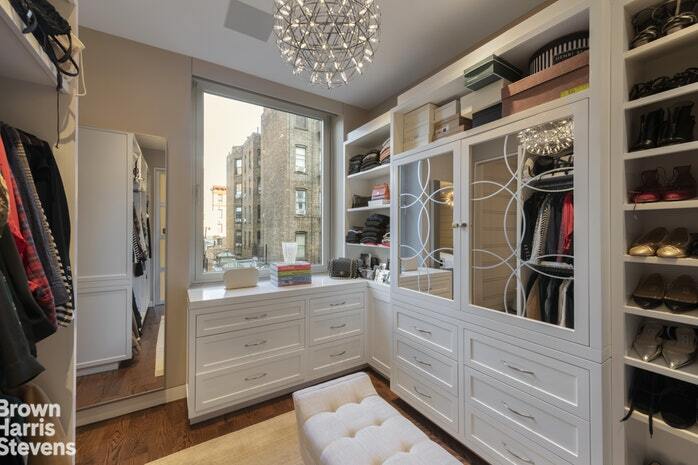 Additionally in the master suite there is beautifully custom appointed walk-in closet with full en-suite bath. Exhibit your finest collections of bags, accessories, and shoes. This sensational dressing-room is a fantasy for any Manhattanite. 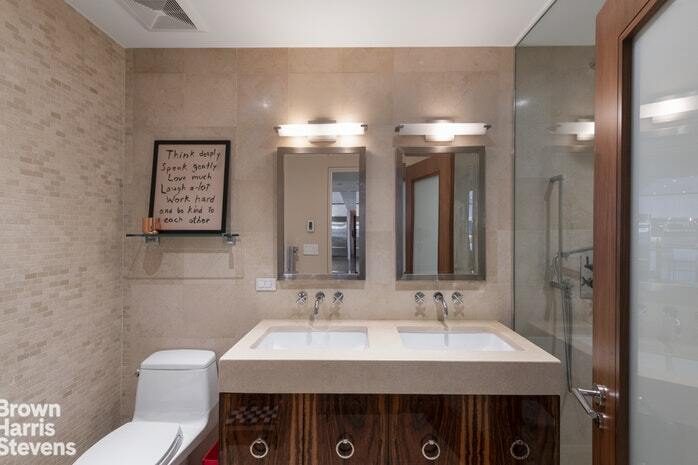 Separately, the master bath is the perfect sanctuary and hideaway with spa-like and luxurious features including dual-sinks, top of the line hardware, jacuzzi tub and an additional makeup area and desk. Appreciate and experience the glass enclosed shower that is roomy and spacious in this windowed master bath! 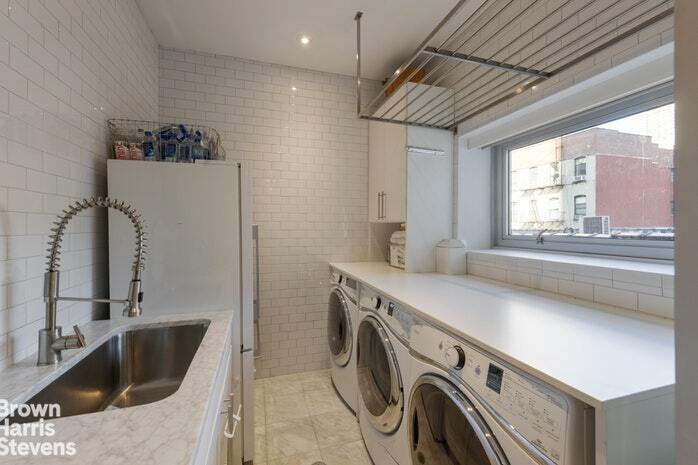 The laundry room is one of the greatest features of this stellar home. Outfitted with three "Whirlpool" machines, over-sized deep sink, an additional "Fisher & Paykel" fridge, automatic shades to open up to your glorious northern view with exceptional ventilation, and plenty of counter space for your convenience! It's truly amazing! 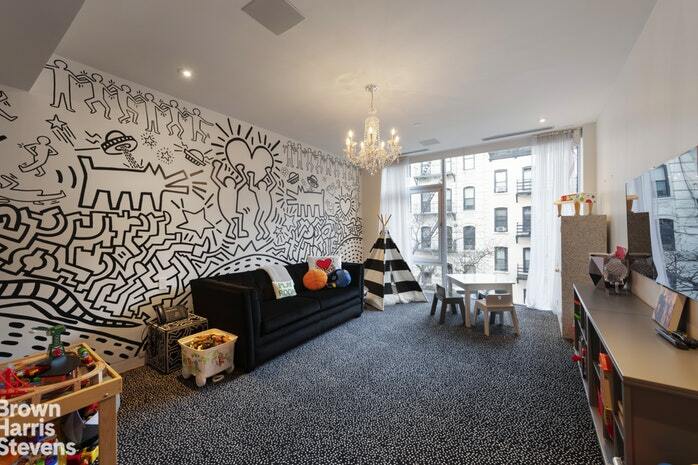 One of the grandest rooms in the house is the children playroom which highlights a Keith Haring mural! 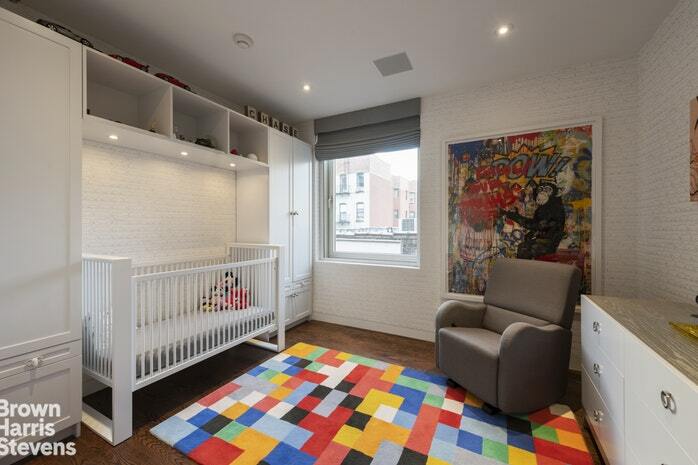 This outstanding space is also well-appointed with an en-suite bath and walk-in closet. This space can easily make for another master bedroom! The owners also spared no expense when it comes to safety. Relax knowing the home features a state of the art security alarm system with battery back-up and communication redundancies. It benefits from many life safety features such as carbon monoxide sensors, fire sensors, gas sensors, automatic HVAC wet switches, motion and entry sensors on all doors and windows. The "LUX 74" is accessible for all your desires and day-to-day business. 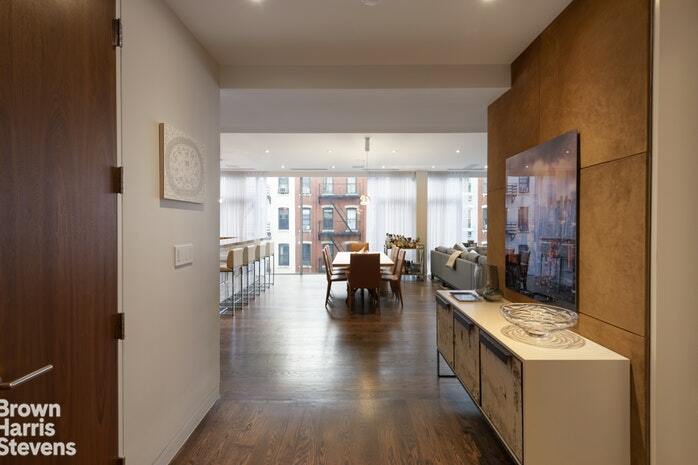 If you enjoy outdoor living Carl Schurz Park, John Jay Park and Central park are all close by. If you relish in eating healthy "Matter of Health", "Agata & Valentina" and "Fairway" are all in the neighborhood. If you take going to the gym seriously, New York Sports, Crunch, Equinox, Soul Cycle and Rumble are within minutes of your home. If you enjoy getting Downtown quickly you are 2 blocks from, the new "Q" train. The location of this home offers incredible possibilities! Nightlife, shopping, cafes are all within walking distance. Welcome home! There is additional storage for sale in the building.